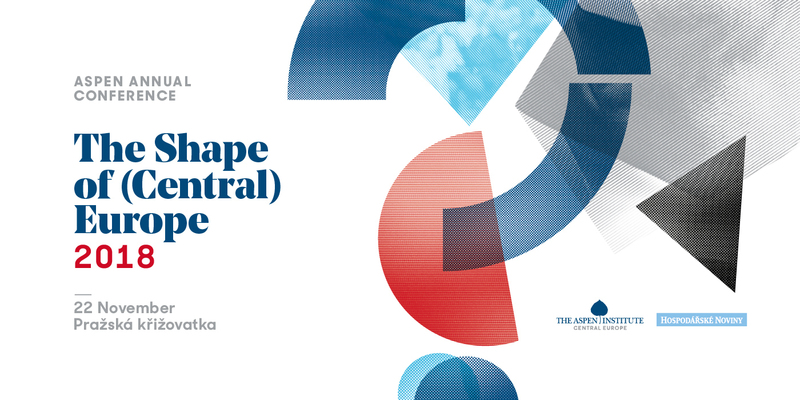 You are cordially invited to the Aspen Institute Central Europe annual conference The Shape of (Central) Europe 2018 / Kam kráčíš, Česko 2018, which we are co-organizing with the publishing house Economia, on November 22 in the Prague Crossroads. The objective of the conference is to comprehensively assess the political, economic and social development of the Czech Republic in the context of Central Europe. We are following up on the successful conferences from the previous years and therefore building on the work of expert groups focused on Competitiveness, Quality of Governance, Education, Defense and Security, and Quality of Life. The expert studies have traditionally highlighted the most pressing issues in the individual areas and make recommendations for possible improvements. The language of the conference is Czech with simultaneous interpreting into English.